Your pristine pool is gleaming, beckoning visitors outside to jump in its waters. Your grill is top-of-the-line, ready to fire up fresh local veggies and the finest of steaks. Your patio furniture is the perfect mix of functional and comfy -- lots of pillows to lounge on, with cup holders built right into the furniture. Even with trappings like these, what's going to really make your outdoor area a hit during the next block party is something so basic, you might not even realize what's missing -- until you look down. 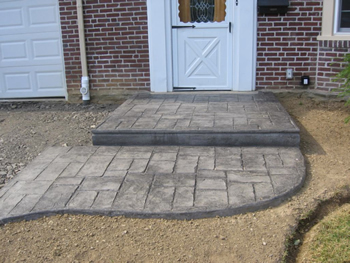 Revamping your patio flooring with a stamped concrete design is one surefire way to ignite "oo's" and "ah's" from your visitors. It will glisten with a beautifully shiny finish that will make guests feel like they just entered a resort.